Todd Castledine went into his rookie season on the FLW Tour with no goals in mind, but heads into year two with lofty expectations. It didn’t take Todd Castledine long during the past FLW Tour season to reach a pretty significant determination about whether his choice to join the Tour on the pro side was a good decision. 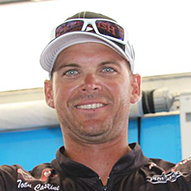 Despite dealing with the pain and discomfort of a herniated disc in his back at the season opener at Lake Okeechobee back in January – “I was throwing up from the pain,” he said – Castledine reached the conclusion that he could survive – in a fishing sense – outside of the friendly confines of southeast Texas, where he’d been a force for years in the FLW Series and team trails. 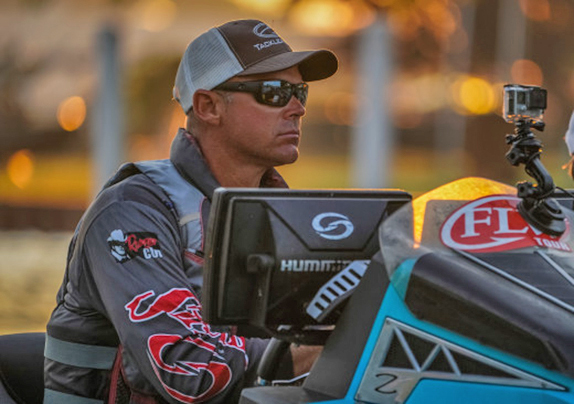 After a miserable practice, he finished a solid 36th at Okeechobee and tacked on a 39th at the Harris Chain of Lakes four weeks later to set a solid foundation for a rookie year that culminated with a Forrest Wood Cup berth and a renewed confidence and optimism with the 2019 season on the horizon. Castledine finished 44th in points as a rookie, a respectable outcome to be sure. With 18 anglers who finished ahead of him in points this year opting to compete on other circuits in 2019, his path is cleared for a sophomore surge. 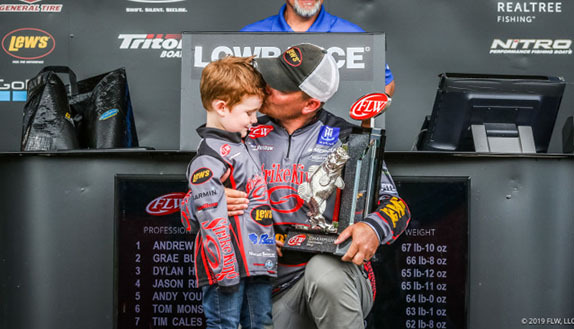 That’s to say nothing of the 2019 Tour schedule, which has the potential to be the best big-fish schedule FLW has produced in years, including the season opener in his backyard at Sam Rayburn Reservoir. Add it all up and he’s counting down the days until blast off on Jan. 10. The differences that stood out to Castledine also served as touchstone moments. 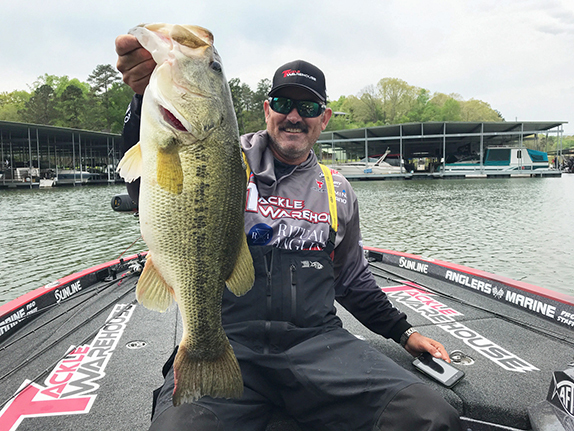 After posting consecutive triple-digit finishes at lakes Lanier and Cumberland, he applied the clear-water reservoir lessons learned at Smith Lake, where he notched a 32nd to turn his season around. He said practice at Lanier was consistently good, but by tournament time he was left scratching his head. “I had 30 to 40 bites a day in practice fishing the way I wanted to fish,” he said. “I have to be careful about that because I got hardly any of those bites in the tournament. I wasn’t hard-headed, but I didn’t realize how different a shaky-head or something different would’ve caught ‘em. Downsizing presentations in an effort to generate consistent bites was a big adjustment for him. Another “a-ha” moment occurred at Kentucky Lake, where shad-imitating swimbaits were among the top producers. Castledine isn’t a fan of said baits, but he saw how productive they were at Lanier and Cumberland and rather than go the stubborn route, he tried his hand at it. The end result was a 71st-place finish, but he came away with a better understanding of the need to adjust. While the target species changed to smallmouth at the season finale at Lake St. Clair in June – his first trip to the venue – Castledine stuck with the swimbait mindset and it paid off with a season-best 6th-place finish. He recalled taking nearly 30 minutes on day 2 to rig up a rod with 8-pound line to fish a small swimbait even though he hadn’t caught one on it yet. Still, he felt like he had to make a change. 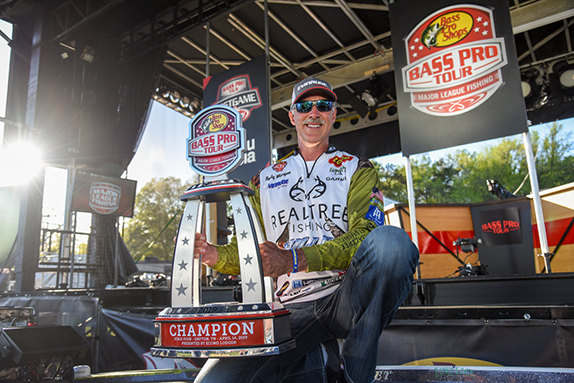 At Okeechobee, Harris Chain and Lake St. Clair, Castledine caught the bulk of his weigh-in fish employing techniques he’d never used before in a tournament. He proved to be a quick learner and that could prove to be trouble for the rest of the Tour field in the coming years. He said he’ll go into the 2019 season with no specific goals in mind, but rather expectations of himself. He pointed to cashing a check in five of the six FLW Series tournaments he fished this year and said he wants to finish in the money at all seven Tour stops next year.